American Development Co.: G20 has started today in Mexico!! For the first time, G20 takes place in a Latin American country, whereas the growth of the region outpaces the growth of many developed countries. Mexico welcomes this 2 days conference in Los Cabos, in Baja-California. 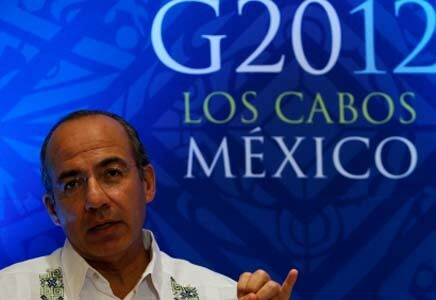 This year, the Latin America countries are well represented: Mexican President Filipe Calderon invited Chile and Columbia to participate in the G20 along the following countries: Brazil, Mexico and Argentina. The main subject being discussed during these2 days is obviously the euro zone crisis. Yet, Mexico and Brazil wish to start a dialogue with the International Monetary Fund in order to establish the new economical importance of Latin America countries. Moreover, for Mexico, the G20 is a huge deal. It shows the world the recent importance of the country among the decision-maker leaders. Mexico aspires to be an active actor and no longer a simple observer. Mexico belongs to the Big. For instance, the New York time pinpointed the Mexican GDP was growing faster than the heavy-weight Brazil’s one. Finally, Mexico through this summit will have the possibility to make its recent membership to the Trans-Pacific Partnership concrete and known among the Big. The TPP is a free-trade partnership between America and Asia. So far, 10 countries are in: United States, New Zealand, Australia, Brunei, Chile, Malaysia, Peru, Singapore, Vietnam and Mexico. The 9 founders represent 36 percent of total goods trade and 47 percent of total services trade worldwide. Spring will be here soon for these countries! American-development and Canada2playa keep you updated!